Get that dream job, Solo Mom! Take a class or two. If you know that you’ll be in between jobs in the near future, one of the most proactive things you can do during your downtime is take a class and obtain a certification. If you’re working in the medical field, make sure your CPR and other lifesaving qualifications are up-to-date, for example. If you are moving to another area and wish to continue working in your chosen career, be sure to update any licenses and qualifications you may need so you can jump back into the field as soon as you’re ready. Even if you don’t want to become a full-time student, taking a class or two so that you can advance in your field while you look for new employment can go a long way in showing a future employer that you’re serious about remaining competitive in the current job market. With online classes from accredited schools becoming increasingly popular, you may not even have to leave your home. Volunteer. One of the most valuable things you can do while unemployed is to volunteer for a cause that you care about. Even if you’re volunteering only once or twice a month, you can still include it on your résumé, effectively filling that employment gap. Freelance. Do you have marketable skills or a talent that you can use to help sustain yourself? 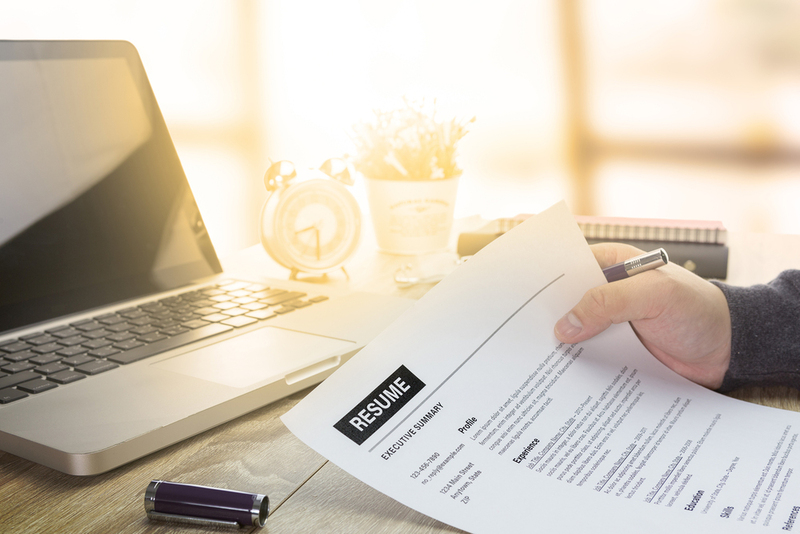 Even if you’re doing it only part-time—such as selling crafts or baked goods on the weekends at a local farmers’ market, or selling articles you’ve written to publications—you can still list it on your résumé to help fill that gap. As an added bonus, it can give you something to talk about during a job interview with a potential employer and help you stand out from the other job candidates. Many people have side gigs in which they get paid to do something they really enjoy, such as baking cakes, making furniture, or painting; if you have a particular skill or talent that you’ve made into a side gig, why not use it to your advantage to impress an employer and show that you’re doing something really cool and productive with your time? Consider the Pregnancy Pause. In recent years, there has been a movement among women to help release the stigma surrounding pregnancy and the associated time off that comes with childbirth and motherhood in general. Many mothers are now choosing to confront it head-on by listing on their résumés a new concept known as the Pregnancy Pause to account for the time they left their previous jobs to care for their families. We are granted only up to 12 weeks of unpaid maternity leave after having a new baby if we were employed by the company for at least 12 months; otherwise, we are at the mercy of our employer as to when we will return to work, and as all moms know (not just Solo Moms! ), 12 weeks isn’t nearly enough time when it comes to bonding with a new child, especially if the birth was complicated. The idea of just telling a potential employer how it is—that motherhood is no picnic and that you took the time off because it made sense for your situation or your family—is better than having your employer guess why you’ve avoided the issue and left time unaccounted for on your résumé. Tell the truth. Once you begin meeting with potential employers, ensure your résumé is an honest reflection of your work history. Don’t fill employment gaps with half-truths. Regardless of the reason for time away from your professional life—whether it be from moving, relocating to another duty station, childbirth, illness or disability, etc.—employers want to know how effectively you used that time. They are looking for creative, smart, and—above all—honest people whom they can trust to get the job done and who will remain dedicated to the company. One final note: to convince a potential employer to hire you, you have to land an interview. Ensure that your cover letter and résumé include specific keywords the company is looking for, as many companies use software to scan for certain words (which are usually in the job listing itself) they want to see on applicants’ résumés. Follow the tips above, and be sure to read Debbie Weingarten’s “The Dos and Don’ts of Résumé Writing” to help you land a job—even with those employment gaps.